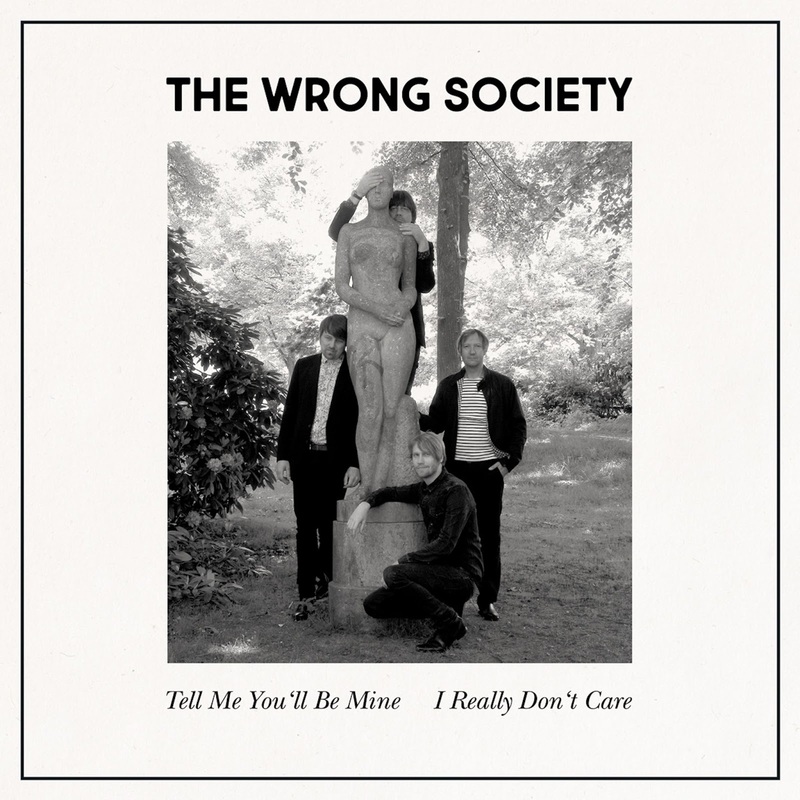 Hamburg's The Wrong Society return with a brand-new 45 and also their second on Market Square Records. Tell Me You'll Be Mine b/w I Really Don't Care see's the band continue advance their sound within the Moody Garage genre proving themselves to be one of Germany's best and most authentic garage bands at the moment. Both sides are influenced by the many American 60s band that came from cities and suburbs throughout the US during the period 1964-68. The Wrong Society's sound closely resembles the bands that were coming out of the Mid-West and New England at that time and both sides of this 45 would fit perfectly well on a Teenage Shutdown compilation. "Tell Me You'll Be Mine" kick starts with angst ridden chord strumming and a constant drum beat holding the thing all together, lyrics about the rejection of modern-day relationships and snotty attitude in abundance, the song has a super nice minor key refrain and ear-piercing fuzz guitar interlude, a real neat piece of 60s style garage. The flip "I Really Don't Care" recalls the Paragons with the bouncy organ and major chord progression, the lyrical connection ties in with the A-side and makes a great companion piece to the 45 all round. Limited to 300 copies house in fold-over risograph sleeve and brown-paper inner sleeve, each copy is hand-numbered. The 7" can be purchased from Market Square Shop as well as a host of other outlets. Also can be obtained via the band themselves at their gigs.